This is the first in a three-part blog series on how to get your small to medium sized business setup on Asana. In this post I'd like to set the scene by talking through how your business can benefit from using Asana and why you should take the time to get your team setup using this awesome tool! About a year ago I discovered this awesome productivity tool called Asana. You may have heard of it? If you've read many of my previous blog posts you'll know it's one of my favourite productivity tools and I use it for almost everything! My journey with Asana started at my day job; Mighty Ape. We had tried a couple of project management tools in the past, but none of them really “stuck”. They were hard to use and the staff at Mighty Ape never fully adopted them. We trialled Asana with a few of us to begin with and absolutely loved it. When we were confident that it could catch on, we set about educating the rest of the company on how to use it. For us, it was a bit of a process and not without it's learning curves. Changing the routines and habits of over 50+ office staff was tricky. My aim with this blog post series is to show you how to successfully educate your staff and run your business with Asana. The incentive for finding a good project management tool should be obvious for anyone in business – if you can save your staff time, you save the business money. Or, by allowing people to get more done, they can grow the business quicker and increase profitability. Consider this hypothetical example – imagine a medium sized business of about 50 employees. Let's say the average hourly rate is $30 (just under $65k a year) and in a typical 40 hour work week we can save 2 hours of every employees time. This equates to over $140,000 in saved time every year! And this is a pretty pessimistic estimate because I believe you can actually save a lot more than just 2 hours a week. Plus, with the added output of your staff you'll not only save time, you'll get more done, hit targets quicker and reduce stress across the company. Let's have a quick look at what Asana actually is. Think of Asana as a to-do list for your entire company where everyone can create new tasks and assign them to one another. Every staff member in your organisation has a separate account and can join different “Teams” within Asana. For example, you may have a team for Customer Service, Marketing, Accounting, Web Development, Design and so on. People can of course be part of more than one team. Within these teams, “Projects” are created and this helps define the major blocks of work the team needs to work on. Different people within the team or even guests from other teams can be invited to individual Projects. 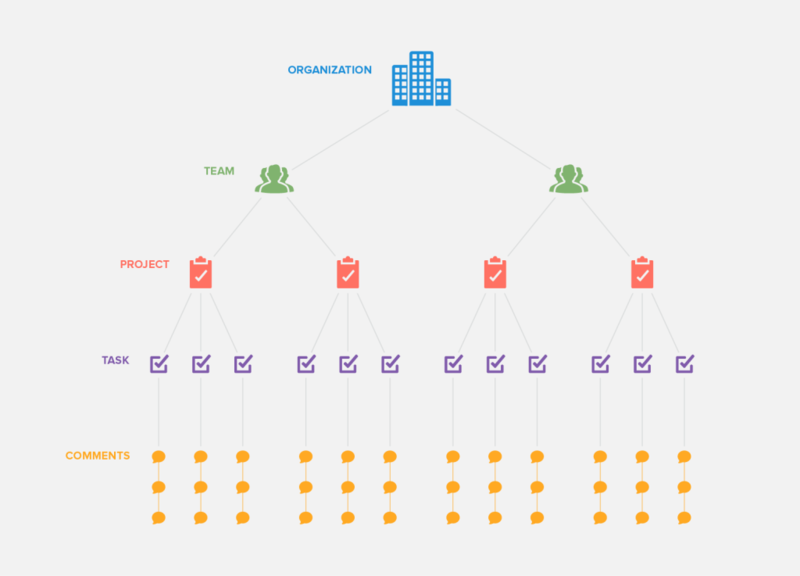 Inside these projects, you have lists of “Tasks” and “Sub-Tasks” that get allocated to different people. These tasks break up the work within a Project and clearly define who's doing what and by what date. Inside each of these tasks you also have a comment thread for communicating with one another about the task at hand. It works a lot like commenting on Facebook; you can tag other people, link to other tasks and “Heart” each others comments. 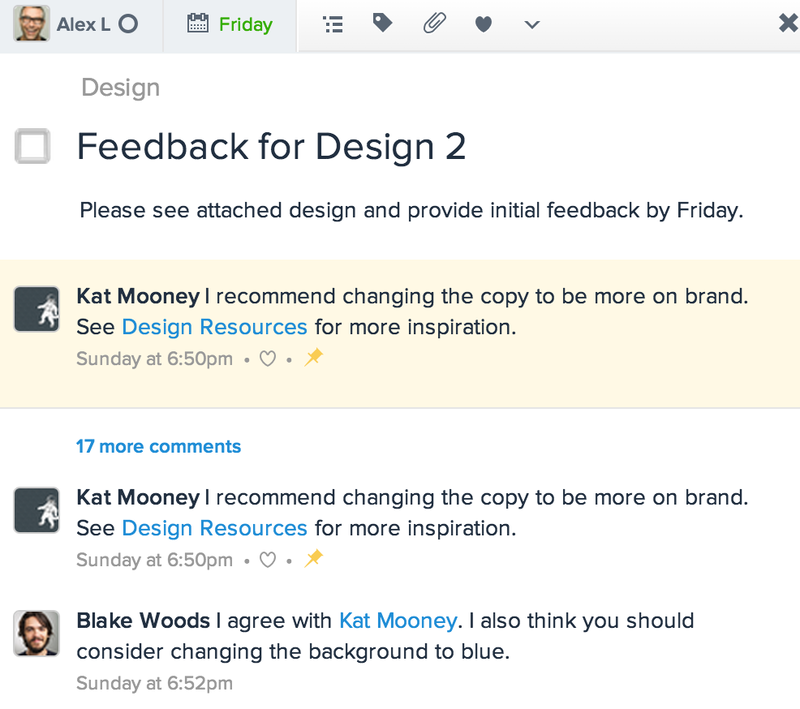 Not only is Asana a fantastic project management tool, but this commenting feature can even replace email for your business. It's a super-efficient way of communicating and far easier to manage than email. At the moment, what happens if you want to know what a particular team or a specific person is working on? They look at the email Inbox to find 1) conversations they need to reply to, or 2) they try and work out the “next action” tied to an email. It's usually at this point that most people actually stop to ask what actually has to be done next to move a project forward. They may consult their individual to-do lists (which could be in a notebook or app). They might search their recent Documents to find the files they've recently worked on. All of this is done to try and create a clear picture of their current workload. The individual or team gets back to your a while later with a list of jobs that they're working on. However it's likely they've missed or forgotten something during this process of collection and sorting. When you organise your companies work in Asana, everyone can literally SEE the work that needs to be done at any time. Click on a a person or Team name in Asana and get an instant view of all their tasks in one place. That's it! The clear picture and list of jobs they were looking for is right here for you. Take a look below. We can see everything to do with the “Website Launch” project; how many tasks have been completed and more importantly, what's left over and who's responsible for what. You can also view work in a handy calendar view, which is a great way to view the roadmap ahead. This is the first major benefit of using Asana. It allows you to really SEE all the companies work in one place. For employees, this is really important as well. No longer do people need to ask themselves; “what should I do next”. Instead they can consult their list of tasks and get stuck straight into the next important job. Because you can see everyone else's tasks it also encourages people to contribute to other people's work (this is pretty much impossible if all you have is email). The problem with most of these forms of communication, is that you have the discussion and very rarely is the communication tied to a list of tasks that need to be completed. Take email for example – a bunch of people get involved to talk about an idea. Cool. But by the end of the conversation, there's no clear list of things that need to be done, no one really knows who's doing what and there's no sense of urgency tied to any of this (this used to happen to us a lot). When you're using Asana, all of the conversations are happening right there inside the tasks themselves. So you're constantly reminded of what needs to be done. As a team you're constantly making progress and getting work done. This leads me on to my next point, which is that when you're using Asana to communicate you'll naturally start to make decisions quicker. Because you're constantly reminded of the task at hand, as a team you'll start to make decisions and reach outcomes faster. Due to the nature of commenting in Asana, people generally write quick, short comments. This is much nicer than having to read through long babbling emails. Of course the benefit here is that the quicker you can make decisions the quicker you can get on with executing and doing the work that matters. That's not to say I support rushing decisions but Asana definitely makes decision making more efficient. When you list and outline all the work that a team is working on, it creates much more accountability between one another. Everyone can very visibly see each others workload. Asana makes it so that people can't hide. No more: “Oh, I didn't receive that email” because everyone can see what tasks you've been assigned. With this in mind, people work harder to make sure they're getting the job done on time. And that's the other thing – when you ask someone to do something over email, there isn't always a due date involved. So people often turn around and say something like: “Sorry, I've been busy but I'll get onto it soon”. Which is code for: “Oh yeah, I forgot about that…um….er…”. 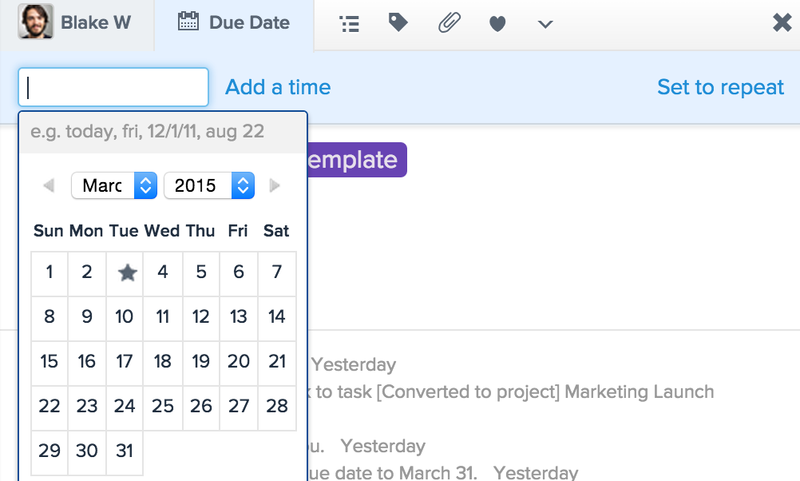 Instead, when using Asana you can assign due dates and it's very obvious to everyone when they get missed. Meetings are more often than not, a big waste of time. 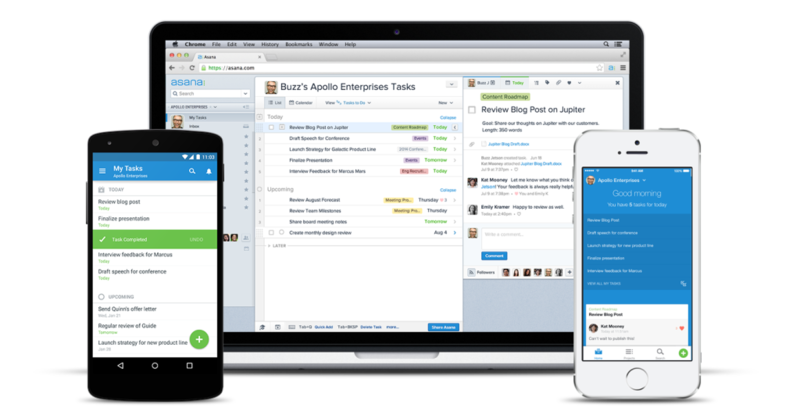 Asana really can supercharge your meetings and make them extremely worth while. Firstly, the commenting features and the ability to see all your work (as described above) means you can avoid certain types of meetings all together. 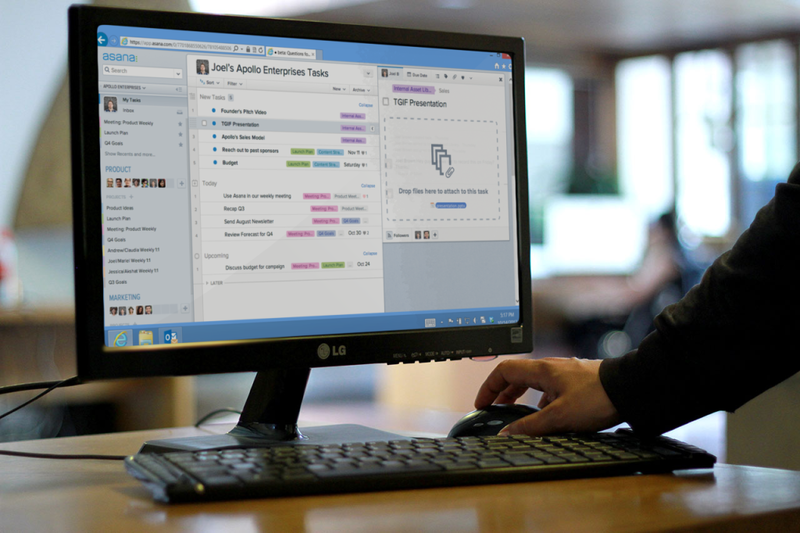 No more meetings to get everyone on the same page – this is all done for you in Asana. 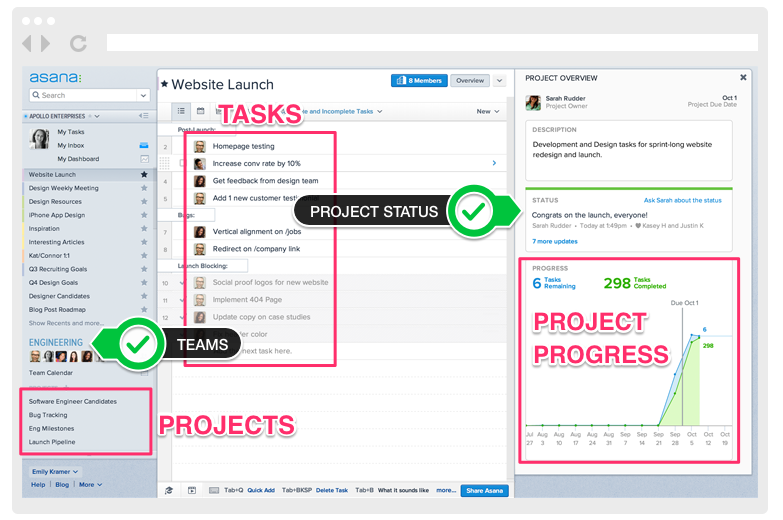 Instead you can use your meetings (and Asana) to establish goals, plan projects and delegate the work super quickly. Asana have a really good blog post on how you can use the app to run certain types of meetings more effectively. Check out this video and tell me you wouldn't want to run a meeting this way – I dare you! But maybe you still have some hesitations. You might be thinking: “‘It looks nice, but I'm just going to stick with what we're already doing. Don't fix what isn't broken, right?” or perhaps you're wondering: “How am I going to convince other people to use this?”. In my experience with educating over 50+ people to Asana, it can be a little tricky breaking old habits. You or your staff may be asking this question. As the first video above explains, email was good, for a while. Now though we receive so many emails, only some of which are useful. Triaging these messages and separating the junk from the important messages and working out what actually needs to be done can be a time consuming. With Asana, you have everything you need in one place. All the details for completing a task; the due date, relevant people, attachments, comments and information all live inside one task and aren't spread over various emails. No more searching through long conversations to work out what needs to be done. A lot of people use email like a to-do list. Generally as new emails come in, these get prioritised first. So we manage our work based on who's emailed us recently, meaning older conversations can get forgotten about. With Asana, you can manage tasks how you like and you'll automatically get shown what's coming up soon based on ACTUAL due dates. Want to see what others are working on? Don't bother with email. Just check their tasks or use dashboards to see how a project is going. The other problem with email is we don't know who's doing what or by what date. In fact, there isn't even a clear list of things that need to be done in the first place. This means stuff can slip through the cracks and get missed. Worst of all – we don't even know when this happens. Are you or your staff getting overwhelmed with the volume of emails you receive? Sorry, not much you can do about that. But with Asana you can follow or unfollow as many tasks as you like. What a great excuse! “This is how we've always done things and it's working fine”. Well, let me ask you this – Do you value time? If your answer is “yes” (and I hope it is), then you should seriously consider running your business with Asana. I love this quote. Email vs. Asana is like comparing a well sharpened axe to a butter knife when cutting down the tree. Wouldn't you much rather have the perfect tool for the job? If you want to remain competitive in our fast changing world, you should consider how you can use new technology and tools to save time and increase your output. When educating our staff on how to use Asana I found that some people loved the new tool and adopted it into their routines straight away. Others couldn't quite see the benefit but gave it a go and soon came to love it. And then there were some who really couldn't make the switch. They would stick with email and barely even open Asana on their computer. Therefore it's important to get everyone singing off the same song sheet and make sure everyone is comfortable with this new tool. Creating mass adoption in a company with more than a couple of people can be tough. You can't sit down with each and every person and show them how to use this new tool. Instead, you need a step-by-step system for showing people the essentials. Asana has some great resources for showing you the ins and outs of the app, but you can't expect everyone to read all this material. Instead you need to show people the basics of Asana and get them comfortable using the new tool fast. Ultimately they need to know how it's going to make their work life better! In the next few blog posts I'll give you a step-by-step system for educating your staff on how to use Asana. I'm also going to outline the most common problems that people are likely to make when using the new system so that you can combat these before they happen. Stay tuned for my next blog post were I'm going to outline how we switched our entire company over to Asana. In the mean time, if you're already using Asana, I'd love to hear your thoughts on it. How did you find the switch to Asana? What are you using it for?